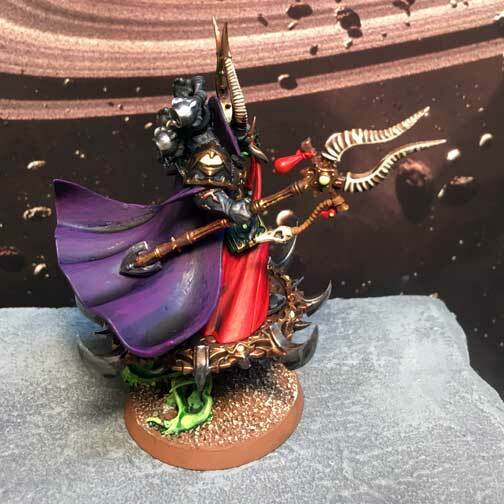 Warhammer 40,000 - My Black Legion client recently gave me Ahriman to paint for his growing chaos marine force. He asked that I paint the sorcerer supreme of the Thousand Sons to match the rest of his Black Legion. I worked in a purple cape to give a little pop to the mage and make sure he stands out from the other psykers I've painted for this force.